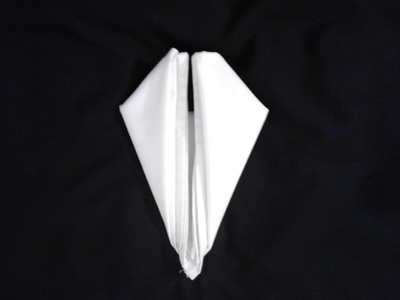 The Bird of Paradise napkin fold is an elegant one, often used for formal dinners. If you will be entertaining this is a good one to try. This is of medium difficulty and may take two or three tries to perfect. 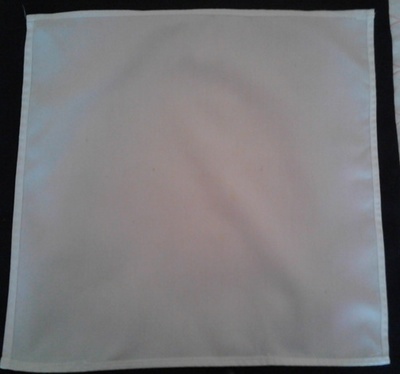 Lay napkin out in a large square. Fold it in half to form a rectangle. 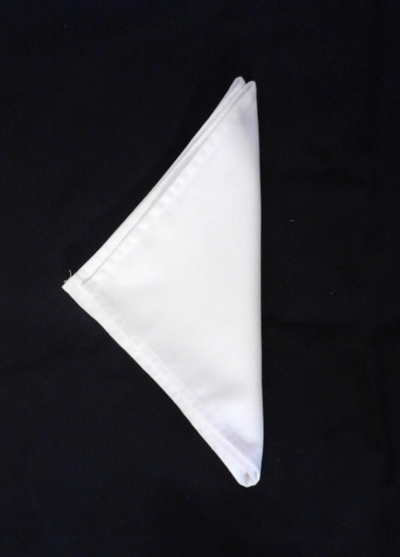 Fold rectangle in half to form a square then fold square into a triangle. 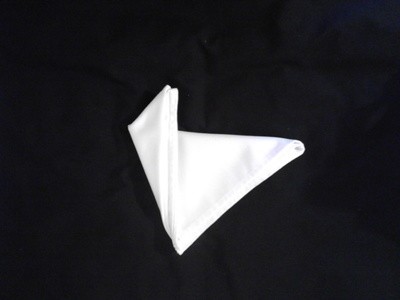 Fold up one side of the triangle as pictured above. 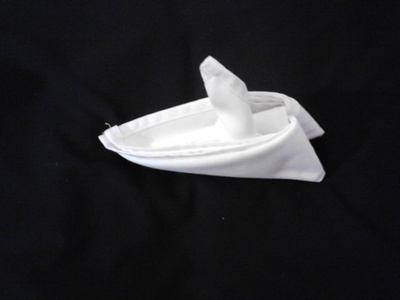 Fold up the second side. 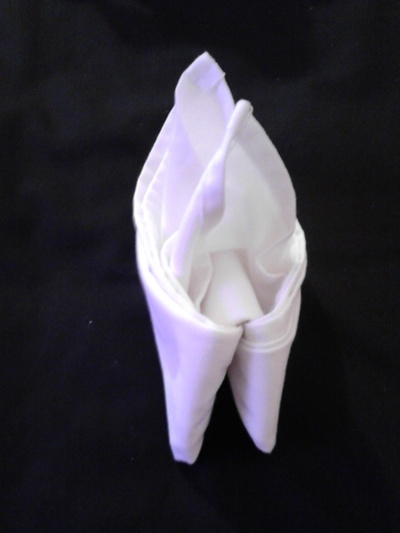 Fold down the edges (made in 2 previous steps) that are protruding over to the other side of the napkin. 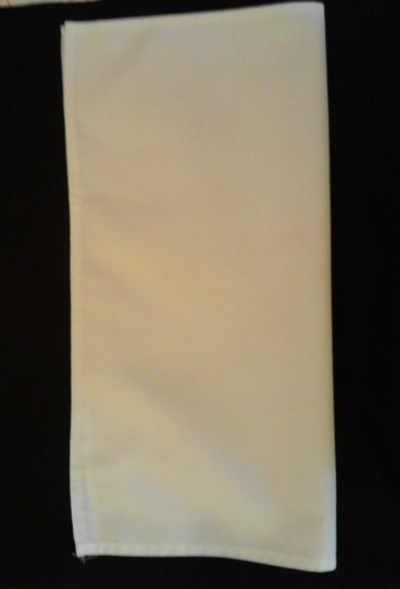 Fold over to sandwich the ends as shown. 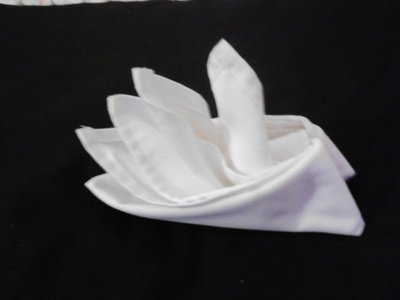 While holding the base of the napkin, pull the edges upright individually. 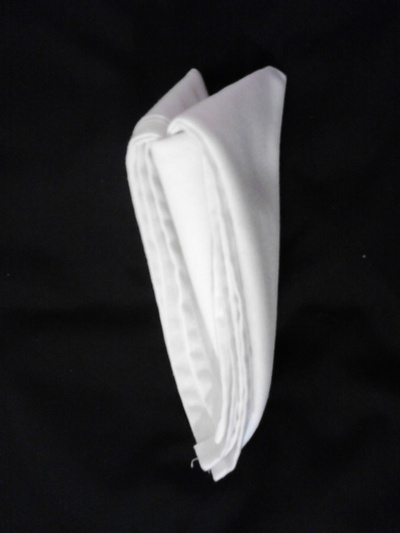 Finished Bird of Paradise napkin front view. 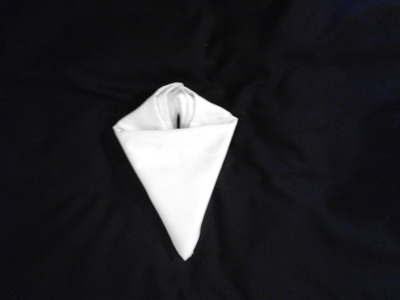 Folded napkin, side view. This is the best way to present it on the table. Have you ever explored the African Safari?